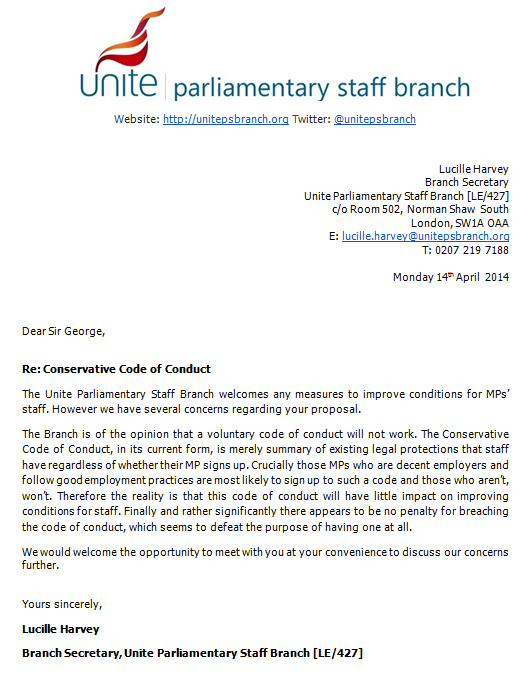 Following the publication of proposals for a new code of conduct for Conservative MPs, the branch has written to Sir George Young, the Conservative Chief Whip, to outline its concerns. © Unite Parliamentary Staff Branch. info@unitepsbranch.org.